Control your online image, protect your brand and improve success. Your Company has a reputation online. Are you sure it’s a positive one? Your online reputation is not the same as your Internet Marketing Strategy. Your online reputation is manifested through reviews and postings on sites such as Yelp, Facebook or Angie’s List. These are sites that consumers will turn to for further information about a company. Not maintaining positive public relations online can cause serious issues in how your audience will perceive you. Internet Marketing will attract new viewers, but your Online reputation will greatly influence their decisions. Internet Marketing focuses on driving viewers to convert into customers and increase your revenue. Your online reputation has a different goal, to build confidence in your brand and help to make a influence the decision making process. Many Internet users will research a company online as part of the decision making process. Most review sites allow a business to tailor their listings, helping to create a positive outlook. The goal of many of these sites is to allow a place for past customers to provide reviews of their experience with working with you. Its important to monitor these and ensure you get favorable reviews. When something negative is written, it’s important to address the issue before it becomes a stain on your image. While online marketing is an active attempt to engage your audience, Online Reputation Management deals with ensuring that your customers are providing favorable information about your business and their experience. Blogs or other sites which rely on advertising for revenue will often allow people to leave information about an experience with their audience. By talking to your customers and encouraging them to leave reviews about you, you can create a positive reputation online that makes people trust your brand. 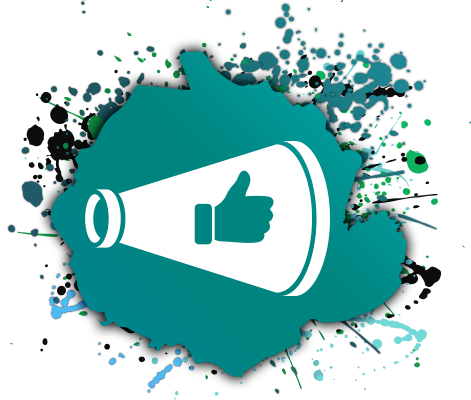 Influencers in your industry for example will want to broadcast both favorable and undesirable information in an effort to provide their audience the ability to make an informed decision. How do you measure up? It’s important to locate and identify places your company has a presence online. There are a wide variety of review sites and blogs, which might be considered as influencers and authorities in your industry. It is vital to locate and identify those information hubs in your industry and start to cultivate a positive image. Having no listing can be just as harmful as negative reviews as you can look untrusted. It is important to gain the confidence of your audience online. How do you do that now? No matter what industry you are in, or service you provide, there will be sites out their people will turn to for information about you. It’s important to locate them and begin to build a presence. You need to be seen as a trusted authority on your subject matter. Hopefully you do this on your own website, but your audience is far more likely to trust you if your information appears on a community site in your industry. Solutions here are usually very customized as industry communities can vary greatly and be quite specific. Here are a few starting tools to consider to get you underway. Online Reputation Management can be a powerful tool to a business looking to succeed online. Ignoring how people perceive you online before ever finding your site can cause your company serious harm and reduce your success online. Oppositely, paying attention to your Online Reputation can be a very fruitful activity indeed, and help to provide your company with additional opportunities. Concerned about how you look to your customers online?